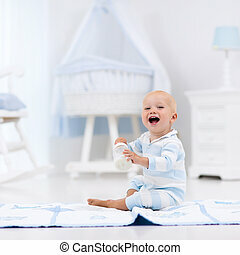 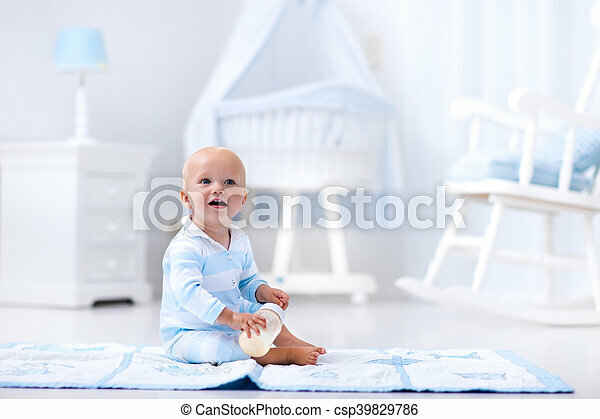 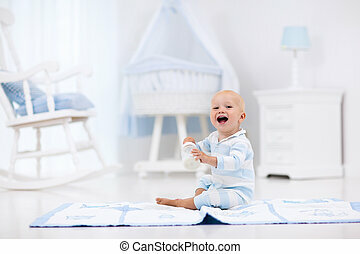 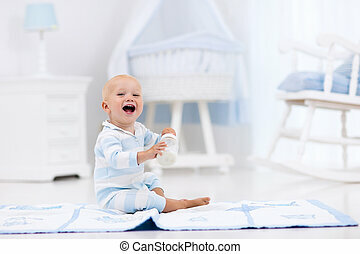 Adorable baby boy playing on a blue floor mat and drinking milk from a bottle in a white sunny nursery with rocking chair and bassinet. 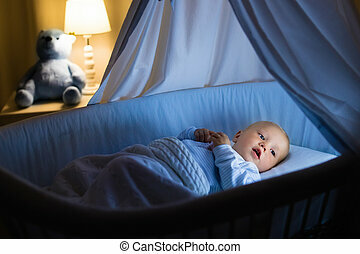 Bedroom interior with infant crib. 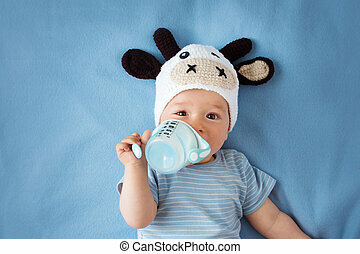 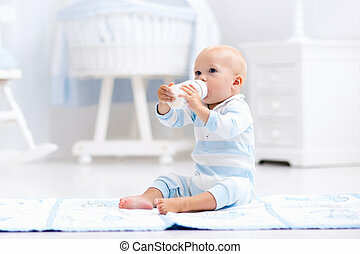 Formula drink for infant. 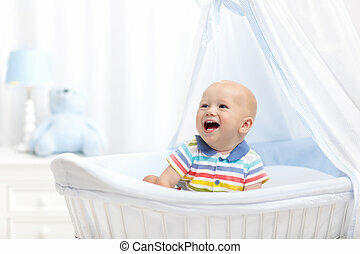 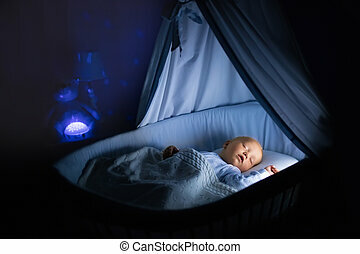 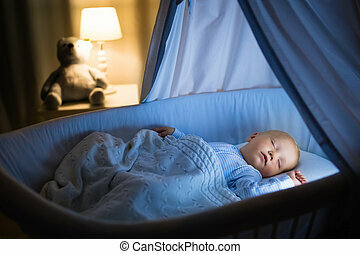 Adorable baby drinking milk in blue bassinet with canopy at night. 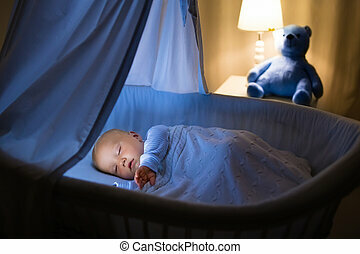 Little boy in pajamas with formula bottle getting ready to sleep in dark room with crib, lamp and toy bear. 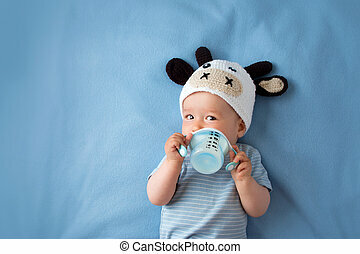 Bed time drink for kids. 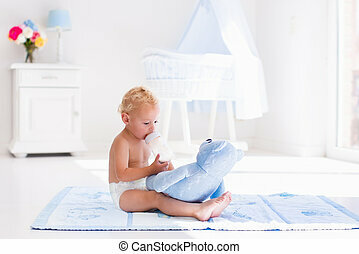 Cute blond curly baby boy wearing a diaper drinking milk on a sunny morning playing with his toy teddy bear in sunny white bedroom. 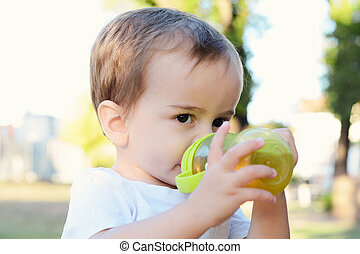 Kids drink formula. 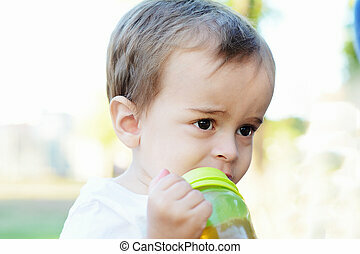 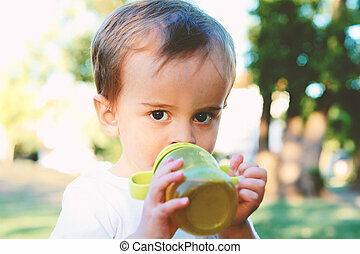 Toddler with plastic bottle. 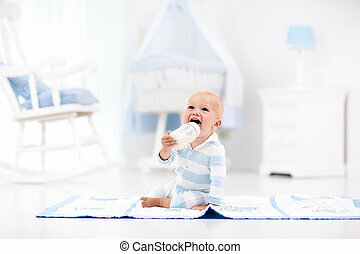 Child nutrition. 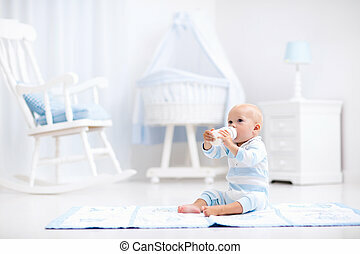 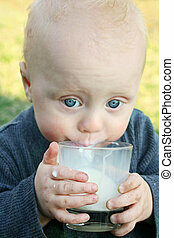 Baby drinking milk in white crib. 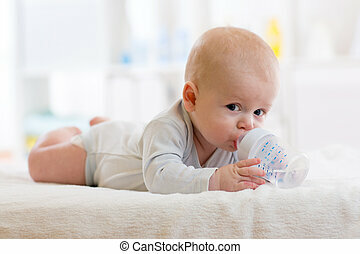 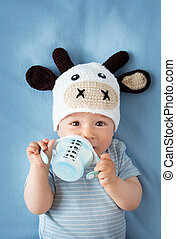 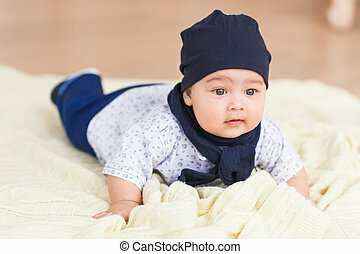 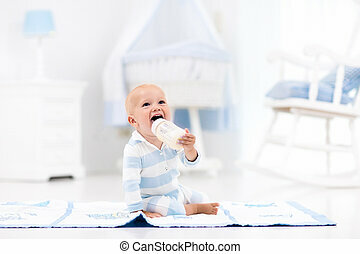 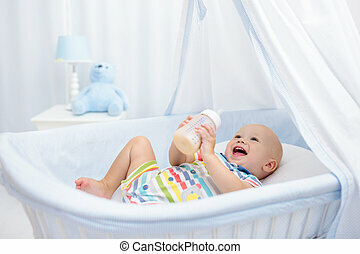 Infant boy with formula bottle in bed. 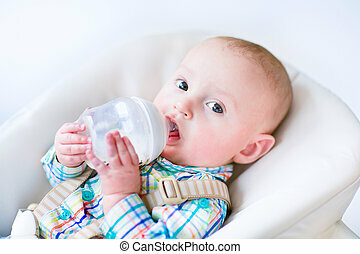 Kids nutrition. 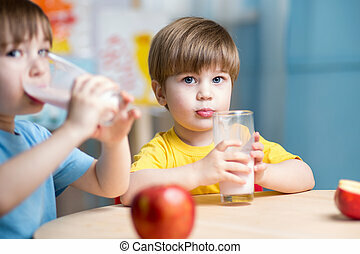 Healthy food and drink for children. 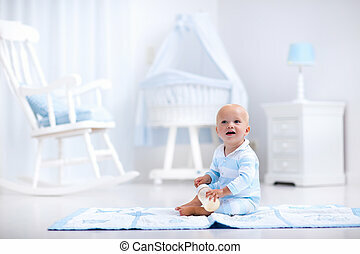 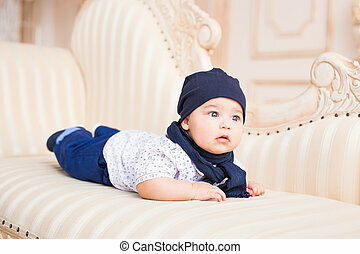 Child in white nursery. 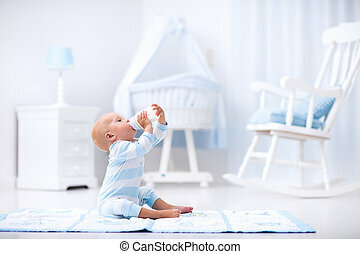 Baby room interior. 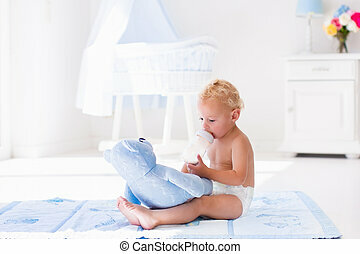 Kid with toy and milk bottle.